African Americans across the country and throughout the global African community are celebrating the arrival of Kwanzaa, a pan-African holiday that celebrates family, culture and community. 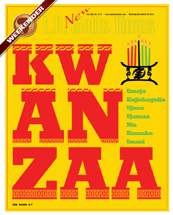 Kwanzaa is a time of remembrance, reflection and recommitment in which family, individuals and community remember the legacy of the ancestors, reflect on life and critical issues, and recommit themselves to excellence, especially values and practices which lead to a good and prosperous coming year. Kwanzaa is organized around the Nguzo Saba, The Seven Principles, which serve as cultural grounding and guidance for millions, not only during Kwanzaa, but also throughout the year in their lives and work . 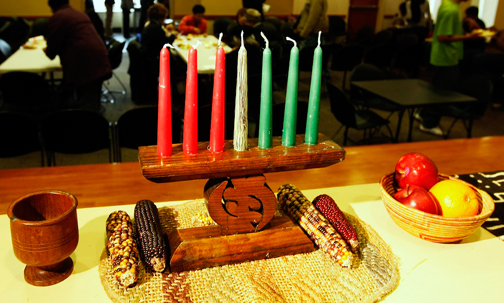 For seven days, from Dec. 26 to Jan. 1, a candle is lit to represent one of seven principles of Kwanzaa which are unity (Umoja), self-determination (Kujichagulia), collective work and responsibility (Ujima), cooperative economics (Ujamaa), purpose (Nia), creativity (Kuumba), and faith (Imani). The candles are black, red and green. The center black candle symbolizes black people. The three red candles on the left of the Black candle symbolize the struggle of the people for good in the world. And the three green candles on the right symbolize the hope and future forged in struggle. The celebration also incorporates drumming, singing and dancing, pouring libation to honor the ancestors, telling cultural stories, and holding a community-wide Karamu (feast) on December 31, the day before January 1, which is the Day of Meditation on the meaning and obligation of being African in the world. Participants also wear African clothing to celebrate their cultural roots. Dr. Maulana Karenga, professor and chair of Africana Studies at California State University, Long Beach and executive director of the African American Cultural Center (Us) founded the holiday in 1966. Dr. Karenga also wrote the authoritative text on the holiday, Kwanzaa: A Celebration of Family, Community and Culture¸ Los Angeles, Sankore Press. 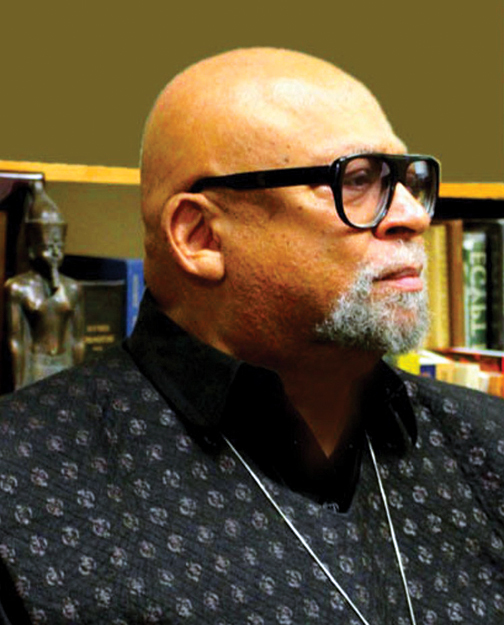 Dr. Karenga, who each year establishes the theme of Kwanzaa in his Annual Founder’s Message, said this year’s theme is “Kwanzaa, Us and the Well-being of the World: A Courageous Questioning.” He states that it calls on to remember the ancient African ethical teaching that we are chosen to bring good in the world. Also, Dr. Karenga says that “to honor our obligation to constantly bring good in the world, we must have a world-encompassing concept of ourselves and our responsibility and answer not only the call of the vulnerable, the poor, the ill and aged, the widow, orphan, prisoner and oppressed, but also answer the call of our injured earth, constantly subject to plunder, pollution and depletion.” This means, he states, that “we must practice the ancient African ethical principle of serudj ta, that is to say, the moral obligation to heal, repair, renew and remake the world, making it more beautiful and beneficial than we inherited it. In Los Angeles, the Kwanzaa Ujima Collective, founded by Dr. Karenga with several community organizations, annually holds celebrations each evening at a different venue where community members reflect on one of The Seven Principles and conduct activities of celebration of the holiday. Charmaine Jefferson, executive director of the California African American Museum, said that the museum celebrated pre-Kwanzaa in early December, but that the holiday continues to resonate with its patrons throughout the year.